Grammar schools: Are they good or bad? At the moment, the reintroduction of Grammar schools is filling the educational news. There have been many debates over the years about whether they are good or bad, with Conservative in favour of and Labour fully against the idea. From the early 20th Century, children were streamed into either Grammar schools or Secondary Modern schools (later known as Comprehensive’s) based on their abilities. At the end of primary school, children would complete the 11+ exam which would decide which school they would be sent to. Those who passed the tests attended grammar schools where their education was focused on academia and it was assumed you would go onto university. However, if you were someone who didn’t pass, you were sent to a secondary modern school, which focused on skills and was intended for those who would go into trades. 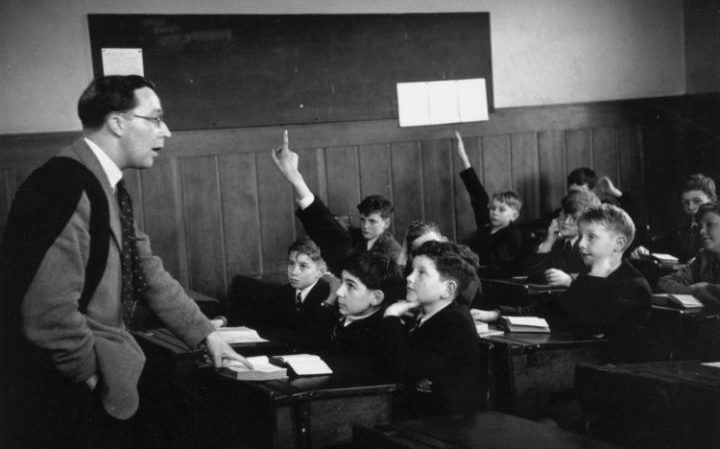 During the 1950s and 60s, the Labour Government felt that the selective education system reinforced class division and reflected a middle class privilege society. In 1965, the Government ordered the phasing out of grammar schools, replacing them with comprehensives. In 1998, this was reinforced with Labour banning any new all selective schools. Today there are a handful of counties such as Kent and Buckinghamshire that have held onto their grammar schools, whereas some like Bournemouth and Birmingham are mostly comprehensive. When I’ve read about the arguments for both, I will admit I found it hard to understand why grammar schools were so bad. As a child, I went to a comprehensive and I always felt like I wasn’t challenged enough by my teachers, who had to differentiate so far and who’s focus was generally taken up more by those who were struggling or were misbehaving. This then saw me become disinterested, getting wrapped up in being a teenager rather than being the bookworm I once was. Now, as a teacher, I still feel sorry for those children who perhaps are quiet and smart, so don’t get as much of the attention. Obviously completing my own degrees, I didn’t do too badly at school and I have very fond memories of my school days, certain teachers and of course the social aspect of school, but would things have been different if I went to a grammar school? Would I have come away from school with higher grades? Would I have been more intelligent? Would I have achieved by 5-year-old dream of being a vet? Would I have even got in? Was it just that my school wasn’t good enough, rather than comprehensives in general? Perhaps! Or perhaps not! Maybe I am at fault for some, if not most of this? Of course I could have tried harder and been more proactive at asking for more challenging work. I’m sure some of my teachers tried, but well, it wasn’t cool to be really clever when I was at school. Of course this is my opinion and there are probably plenty of people that I went to school with that had the opposite experience. Or could I be right in feeling that the effort wasn’t there in secondary school to ensure I was pushed. There’s also the reasons I got into teaching myself. The want to ensure that everyone has access to the best education, that everyone can break the cycle, that everyone can do whatever they want to in life. Coming from a ‘disadvantaged’ background myself, I was the first in my family to go to university, something that statistically wouldn’t have happened in the days of grammar and secondary modern schools, and I am so thankful of the opportunities myself and my siblings have. Many parents, more than half of the English population in fact, are calling out for the reintroduction of grammar schools as they are fed up with the current system. They are fed up of their child not being challenged. They are fed up with their children being in class with the ‘naughty children’. They feel that teachers don’t want to, or can’t, spend time on ensuring their child achieves to the best of their ability. But are grammar schools really the answer? Those in favour of grammar school argue that grammar schools undermine privilege. They are not private schools and therefore ask parents to pay, instead they accept the brightest from any background, so in theory, it should mean that bright children from the poorest background can attend. Grammar schools also achieve strong exam results and successful alumni. Also, could separating able and less able help or hinder. The able surely will do well, but what about the less able who need those more able role models? What about the middle children? Are they going to be pushed if they are in a comprehensive or will they lose any chance of achieving what they are capable of, if they had the right support? Theresa May reassures us that grammar schools will need to meet a certain quota of children from lower income families. She has also proposed that new grammar schools will need to work with non-selective schools. Ofsted chief, Sir Michael Wilshaw, feels that grammar schools hold back the poorest and that they are full of middle class kids. Grammar schools serve the top 10% of the population and only 3% are classed as pupil premium children. He instead feels that ALL schools should be improving, and should be aiming for the best from all their pupils. Only those with the best degrees and teaching skills should be teaching our children, and parents should be doing more whistleblowing about poor teaching. Wherever you stand, the general consensus is that schools need to improve, education needs to improve. The more I read, the more on the fence I am. Secondary education does need to improve and of course the best thing is for every school to aim for the best. But current reforms have changed very little. What system will ensure that all children reach their potential? Will it be a mixture of strategies? Is there such a thing as one system that can ensure that every child has access to a great education where they feel supported, challenged and like they have a say in their own future?